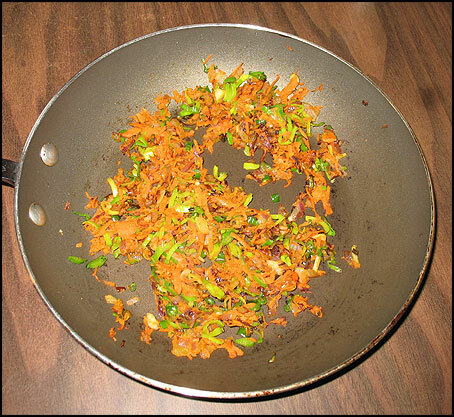 Add oil to a skillet and when hot add chopped onion and sauté until transparent. transfer dough to a bowl and cover with a plastic wrap and leave in a warm place for about ½ hour. 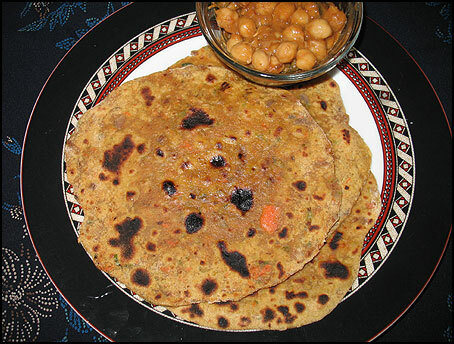 To make the roti, divide dough into 10 portions. 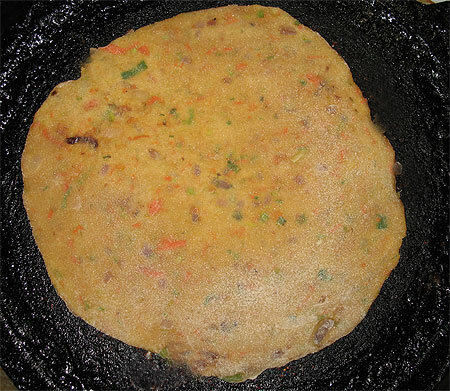 Cook rotis on a skillet on both sides until done. Variation: You can add other vegetables like cauliflower, green beans etc. But make sure you cut them into very fine pieces.